New Delhi, February 6, 2019: “Indian schools, we find, are increasingly becoming conscious of their natural environments and resources, and the criticality of managing them sustainably. This is becoming evident from the growing numbers of schools which are joining our Green Schools Programme audit exercises and working seriously to make a difference,” said Sunita Narain, Director General, Centre for Science and Environment, while inaugurating the Annual Green Schools Programme (GSP) award ceremony today. Narain along with the GSP team released two books on the occasion. 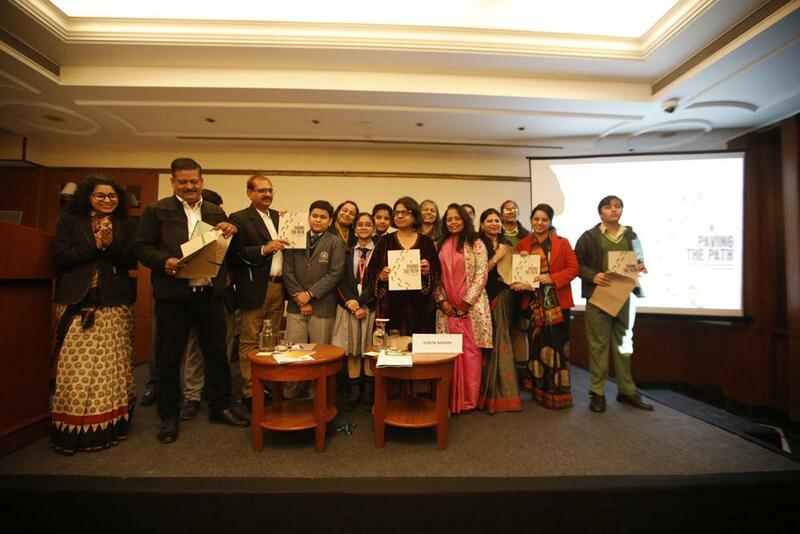 Titled ‘Paving the Path’, the first book recognizes those schools across India which have displayed remarkable intelligence and resourcefulness in making a positive impact on the environment. This book will be immensely useful to school administrators, teachers and students by providing them with positive examples and a compact toolkit to initiate similar activities at their own schools. The second one is a quiz book on climate change which talks about the history of climate change, explains the science behind it and discusses its sociological implications. This year, 5360 schools registered for the GSP Audit from all across the country. Of these, 1689 schools submitted their completed audit reports to CSE. This points to an 85 per cent jump in registrations and 42 per cent jump in audit report submissions. The awards have been given on the basis of a detailed assessment for the following practices -- rainwater harvesting, energy efficiency, mobility, proportion of green cover in school, waste management, water management, sanitation standards and availability of healthy food among other things. Twelve schools out of the 35 shortlisted were presented awards in different categories. Among the top winners of the 2018-19 awards are 2 schools from Tamil Nadu and one each from Madhya Pradesh, Sikkim, Uttarakhand and Maharashtra (see below for details). Change Makers of the Year: The schools that have participated again and have brought about measurable change in the management of resources within the school premises while sensitizing the school community. Energy: 50 per cent reduction in energy consumption. Waste: 156 new 2 bin and 3 bin systems were added. New Entrant School: Kairali Vidyabhavan Senior Secondary School from Thiruvananthapuram, Kerala participated for the first time and has shown considerable potential in managing its natural resources. The event witnessed participation from more than 250 children and teachers apart from media, state partners from environment and education departments, academicians and civil society members.